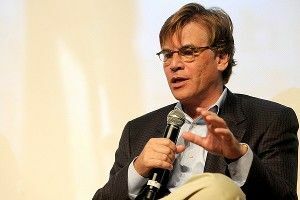 » Let’s Maybe Let Aaron Sorkin Repeat Himself in Peace? Let’s Maybe Let Aaron Sorkin Repeat Himself in Peace? come on. That said: It did break my heart forever to find out that the “I could buy Mt. Auburn Street, take the Phoenix Club, and turn it into my Ping-Pong room” line from The Social Network was on Studio 60 first.